Jouko Pitkänen is best known in business for his work as the Director of Stockmann Retail and member of Stockmann GMT. Jouko Pitkänen is the man who put the company’s new strategy into action and launched a 50-million-euro savings program. Stockmann has undoubtedly played a prominent part in Pitkänen’s life, and yet it is just one phase: he also has a notable past in dance sports, a new career in talent identification – and in a few years, he will also have a doctoral DBA degree from Aalto EE. Throughout his childhood, youth and early adult years, Jouko Pitkänen danced. He and his partner were amongst the countrys top talents in Latin American dance, and represented Finland all around the world. Love for the sport kept Pitkänen dancing for over 20 years; he ended his dance career at the European championships held in Helsinki in 1999. If I look back at my life in distinct phases, dance sports were clearly the first act. "If I look back at my life in distinct phases, dance sports were clearly the first act. What a wonderful time that was! The next chapter in my life was naturally Stockmann", describes Pitkänen. Pitkänens first job at Stockmann was in the menswear department, where he started working in autumn 1998. His journey from salesperson to Director of Stockmann Retail and member of Stockmann Group Management team was marked by many milestones. Pitkänen especially remembers his years in Moscow as a rich experience. Before leaving for Russia, neither Pitkänen nor his life partner had any experience of Finlands eastern neighbor. "We were thrown in at the deep end", he laughs. "We moved to Moscow in 2004, where I first worked as Department Store Director. We married in 2005 and the following year we had our first child, Pinja. While we were learning family-life, I rapidly advanced to be Sales Director in Russia and soon to be the Director of the entire Russian department store business." "During these years Stockmann expanded a great deal in Russia and working there was an immeasurably gratifying experience. Russians are very warm people and extremely hard-working and conscientious employees", he affirms. Pitkänen and his family lived in Russia up until 2008, when he was asked to return to Finland to work as Director of Stockmanns Turku department store. Pitkänens' second child, Pihla, was born around the same time. Work in Turku was very enjoyable as well, but just a few short years later, Pitkänen was asked to be Stockmann Helsinkis Development Director of Sales. When he returned to the capital area, he decided to also return to school and he obtained an Aalto EMBA degree alongside work. The studies broadened my perspective in business leadership and gave me a chance to work together with 40 student colleagues with very colorful backgrounds and diversity. 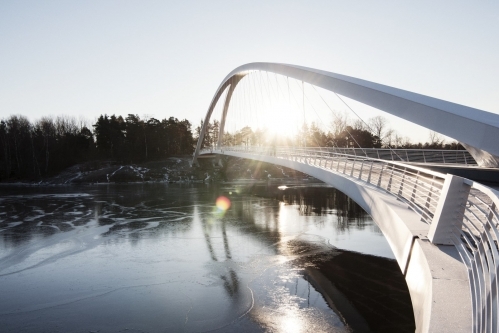 "The Aalto EMBA was a great learning experience, thoroughly eye-opening. The studies broadened my perspective in business leadership and gave me a chance to work together with 40 student colleagues with very colorful backgrounds and diversity", he thanks. Soon after graduation, the Pitkänen family were packing their bags again. They were once more heading for Moscow; this time Pitkänen was named Director of Store Operations in both Russia and the Baltics. "The chains' seventh department store and St. Petersburgh's mall had just been opened in Russia, and work was highly rewarding. Our children attended a Finnish school and figure skated, just like they do in Finland", Pitkänen explains. 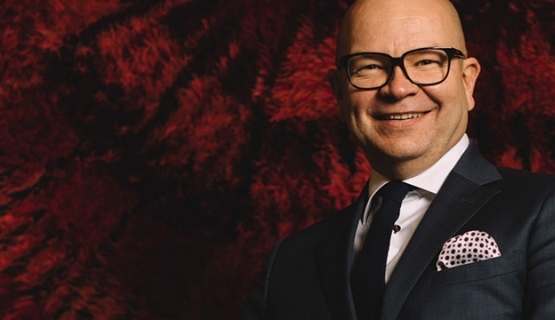 In summer 2014 Pitkänen was asked to return home to take on the task of Director of Stockmann Retail, the groups entire retail business with an annual turnover of approximately 1.1 billion euro. The same summer Stockmann started extraordinarily extensive strategy work that was finished by Christmas. "The strategy process in itself was enormously strenuous – and next we very rapidly started implementing the new strategy", says Pitkänen. He guided the company through wide-ranging structural changes and launched a 50-million-euro cost savings program. Stockmann gave up department stores in Russia as well as the Academic Bookstore. Simultaneously Stockmann Group sold Seppälä and Hobby Hall. When summer 2016 arrived, Pitkänen decided to start a new chapter in his life. "The past 2-3 years had been tremendously taxing. Work was highly interesting, but exhausting. Those years our family was missing a father", he admits. "Last summer I felt that as large strategic undertakings had been accomplished, it was a natural point from me to step aside and start a new phase in my life. It was time to let others take a great company forward", he underlines. Pitkänen decided to start the third act of his life with an Aalto Executive DBA, which leads to a doctorate. He describes his return to the academic world as empowering. "In fast paced business life, decisions are often made based on experience and even intuition. For me, the DBA studies provide an important and invigorating diversion from corporate life. I am eagerly absorbing analytical knowledge to strengthen my thinking and competence for my next steps in business. I have utmost respect for the Professors structured thinking and capability. They in turn value my extensive practical involvement in demanding business leadership", ponders Pitkänen. In his doctoral thesis Pitkänen is studying changes in business models in retail business, especially in department stores, and looking at dynamic capabilities as part of the change processes of business models: what kind of capabilities should organizations include to enable the identification of agile business models and their realization. "Retail stores are currently being challenged from left and right, and not least by digitalization. The retail store business must reinvent itself", he accentuates. Pitkänen has a clear schedule for his doctorate: he intends to defend his thesis in three years time. Interesting years are in store and Pitkänen ensures he is ready to expand his horizons. "I will be able to research a slice of the retail business in which I know I am world-class. I am certainly proud that I will get a feather in my cap showing that I know this one thing extremely well", he envisions. Support from his family means a great deal to Pitkänen. He and his wife take turns studying. "We both have a habit of studying alongside work. My wife just finished one bit of studying and now it is my turn. Once I complete my doctorate she plans to move on to the next phase in her own studies", he says. Currently, Pitkänen has one year of full-time doctoral studies under his belt and he has recently taken on another challenge: a partnership at Birn+Partners. "My work at Birn+Partners combines identifying organizational capabilities and securing them precisely. My new job has many interlinking aspects with my research, in which I am looking at changes in business models and the meaning of dynamic capabilities in accomplishing transformation", he points out. Pitkänen emphasizes that it is vitally important to challenge yourself with studies from time to time to uphold your intellectual capital. "During the summer of 2016 I was contemplating the future and I realized that I have roughly 25 years of work-life ahead of me. This thought raised a concern in me: what substance do I have to offer? What can I give business life? How can I strengthen my own competence so that in years to come, I will be pressing forward in full gear, not driving on empty?" Pitkänen recalls. "The EMBA experience and the first steps I have taken in the DBA are in my mind the best possible way to take care of my intellectual capital and keep myself relevant in the future as well. I highly recommend both", he praises. Pitkänen has one advice he wishes to share: "It is never the right time to study alongside work. You simply have to decide that it starts now. Mull over it for a moment and go", he quips. 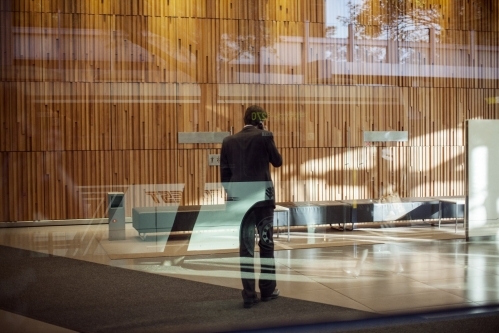 Aalto Executive MBA (EMBA) is the leading Executive MBA program in Finland. It holds the 'Triple Crown' of accreditations – the three most respected university accreditations, AACSB, AMBA and EQUIS, granted to only 0.5% of the world's business schools. The Aalto Executive Doctor of Business Administration (DBA) is a structured doctoral level program for experienced individuals who wish to merge professional practice with theoretical perspectives to discover novel insights.